There are so many different food options in modern society – yet all that choice doesn’t make it easier to eat the right thing. In fact, society is filled with conflicting advice, perspectives and a whole lot of nutrition myths, making it difficult to know what you are supposed to be eating. Working out the difference between nutrition myths and facts can be a tricky task, yet it is an important one if we want to improve our health. It often seems like nutritional rules change from decade to decade, with some approaches gaining in popularity while others get less popular. Some of the changes in advice come from research, but more seems to come from fad and hope. So, how do you choose what to eat? Realistically, a lot of the information out there about food and eating is nothing more than myths. Understanding the truth behind these myths paves the way for making healthy eating decisions and leading a healthier life overall. This guide offers insight into some of the key health and nutrition myths – and what the ultimate truth behind them is. There is a huge amount of debate about coffee. For many of us, it is a guilty pleasure and something that we think we probably shouldn’t be drinking. Just from browsing online, I’ve come across so many sites where people focus on the ‘evils’ of coffee – even though most of them don’t have any evidence and are pretty vague about their claims. Sites like that play a key role in making nutrition myths so widespread. Yes, if you have too much coffee, you do end up with issues from too much caffeine, including sleep problems, dehydration, anxiety and heartburn. But, at lower doses, coffee can actually be beneficial. Coffee is a pretty controversial topic and scientists continue to debate its advantages and disadvantages. People also vary a lot in the stance they take about coffee, often because of personal beliefs and personal experience. The first thing to understand is that coffee is a complex drink. There are actually more than 1,000 different compounds in coffee and the full role of all of these simply isn’t known (1). Because of this, there are many different interactions that can occur between coffee and the drinker. Additionally, these interactions will be different depending on the individual. It’s also important to note that caffeine is a relatively small proportion of the coffee bean – around 1-2%. This means that some of the impacts of coffee come from the caffeine, but most of them do not. In fact, one comprehensive study found a negative association between coffee consumption and the overall risk of death (7). Data from Freedman et al., 2012. There are many other health benefits of coffee that I haven’t talked about here and coffee consumption is still a topic that is being actively researched. However, even with the health benefits of coffee, it’s important to still drink coffee in moderation. We all have different limits, but generally speaking anything over 6 cups per day may be too much. You can also look for signs that you have had too much caffeine, such as being shaky, having a very fast heart rate and feeling nauseous. Coffee shouldn’t be something that you absolutely rely on – particularly not in large quantities. But… as part of a healthy diet and lifestyle, coffee really can have positive health benefits. In an effort to lose weight, many people are trying to cut down on the amount of sugar they consume. Often, the approach involves turning to sugar substitutes – like those in diet drinks. In theory, cutting down on sugar is a good thing, however, what it is getting replaced with isn’t actually any better. There are actually a number of different sugar substitutes on the market, including both artificial and natural sweeteners. These are sold directly and are also used within many of the diet products that you see on the shelves today. Some of the more common artificial sweeteners on the market include aspartame, and sucralose, which are include the brands Nutrasweet, Equal and Splenda. People don’t just eat food because they are hungry. Food consumption triggers a reward pathway and this is one of the reasons that people feel satisfied after they finish a meal (8). Sugar actually plays a key role in this pathway. So, when you replace sugar with an artificial sweetener this pathway isn’t activated in the same manner. This is why people often still feel hungry or have cravings after they eat (or drink) something with artificial sweeteners (9). Additionally, people use substitute behaviors when they are having some ‘diet’ foods. For example, many people might order takeout more often because they get a diet soda with it – so they feel that the fast food isn’t quite as bad for them. Both substitute behavior and additional cravings can mean that people replacing sugar with sugar substitutes can actually end up eating more calories and gaining weight compared to simply having the sugar. Research has also suggested that using artificial sweeteners can indeed result in weight gain rather than weight loss (10). However, most research has suggested that isn’t the case (11,12,13,14). It is also very possible that the impact of artificial sweeteners on weight loss could vary from person to person. For example, people that have difficulty sticking to a diet may find using artificial sweeteners challenging because of how they don’t trigger the reward pathways in the brain in the same manner. So, people in this situation may not be able to move from food with sugar to food with artificial sweeteners. Alternatively, they may simply end up craving sugar and eating it in other ways. If the former were true, then this pattern also wouldn’t show up in many of the research studies, as the individuals would have failed the intervention. In general, this means that artificial sweeteners can potentially help you to lose weight, but the topic is not nearly as simple as it seems. Realistically, long-term weight loss requires more than simple substitution, instead, it requires a long-term change in eating habits and often in lifestyle too. Substituting sugar with artificial sweeteners might help with some of this process, but it still means that you may be consuming too much processed food and may have other unhealthy eating patterns. Sugar does have many negative impacts on the body – but sugar substitutes are not necessarily any better. This is particularly true for artificial sweeteners, which are made using chemical processes. Research is still relatively new in this field, but there have already been indications that the use of diet soft drinks increases the risk of diabetes (15). Nevertheless, more research in the field is certainly needed, including the use of randomized controlled trials. Perhaps the biggest issue with artificial sweeteners is that they are relatively under-researched, yet they are so prevalent throughout society. Many people consume large amounts of artificial sweeteners in an effort to cut down on sugar. We don’t fully know what the impacts of this practice are, especially not in the long-term. This is why there is so much confusion about the nutrition facts and myths that surround artificial sweeteners – the science simply hasn’t been definitive enough to give many people the answers that they seek. There is also an interesting link between artificial sweeteners and gut health. The term gut health refers to the fact that we all have bacteria in our gut that help to promote our health overall. This field has been the focus of a considerable amount of modern research. I highlight some of this research and the significance of gut health in general in my article on gut health and depression. The site Mind Body Green also offers insight into ways that you can help to heal your gut. In general though, the good bacteria in your gut can help to promote your overall health, Some decisions that we make (especially in terms of what we eat) can have positive impacts on this bacteria. Other decisions can have negative impacts. For example, the significance of the gut is why you see so many probiotic foods on the market – especially yogurts. One of the issues with artificial sweeteners is that they can potentially have a negative impact on gut bacteria. For example, research has indicated that artificial sweeteners could alter the composition of bacteria in the gut, contributing to the development of glucose intolerance (18,19). There is even the potential for artificial sweeteners to make some changes associated with obesity (20). Fruit juices seem to be the go-to option for anyone avoiding pop or other sugared beverages. After all, they are made out of fruit, so they must be good for your health, right? Firstly, the term fruit juice is applied to a wide range of things. Often, fruit juice products are little more than sugary water that is flavored with fruit juice. In some cases, there isn’t even juice in the mix, just chemicals to mimic the taste. Typically, you can tell this by the way that the product is labeled, such as orange drink (versus orange juice) or fruit flavored. Even then, the difference isn’t always obvious. Often products are also misleading about which juices are in them. For example, apple juice is often added to bulk out the juice. However, laws surrounding the labeling of juice give companies the ability to promote the element of juice that contributes to its distinctive flavor, even if that element isn’t that prevalent. For companies, this is a particularly powerful tool, as some fruits (like cranberry) have a powerful taste, so only a little is needed. In general, with most juices, you are dealing with a wide range of added compounds, including added sugar. Often the sugar content of juice rivals (and sometimes exceeds) that of processed sugary drinks, like Pepsi or Coke. The labeling of juice can be misleading. Often, when people turn to juice as a healthy alternative, they look for 100% juice. However, this phrase doesn’t always mean what it should. None of these are juice, yet, even with them in there, the product can still be labelled 100% juice. That’s a pretty big indication of how misleading food labeling can be. The problem is, there is NO indication of what is in the concentrate. It’s very unlikely that the concentrate is 100% juice. Instead, the concentrate tends to be a mixture of the juice (pomegranate in this case), plus water, sugar, chemicals, additives and other types of juice. A significant example of this is the flavor packs that companies use. These packs are made from byproducts of oranges, but they have been chemically altered. The packs provide flavor to juice from concentrate and to juice that isn’t from concentrate. Because the packs are considered orange byproducts, they do not need to be listed on the ingredients list (21). So, in reality, most 100% juice products aren’t strictly 100% juice. When it comes down to it, it’s important to realize that food labels never tell you the full story. In particular, there are some things that can be added to food or to drink that you and I would consider additives, but that companies are not legally required to disclose. Flavor packs are one example of this. Even if you find 100% juice with no additives, or if you squeeze your own juice – it still isn’t a particularly good choice for health. After all, juice is basically fruit with many of the healthy components removed. It does offer some health benefits, like vitamins and minerals, but less than you would get from simply eating the fruit. If you do drink real fruit juice, you have to do so in moderation, because it is still very high in sugar. For example, Tropicana is promoted as 100% Pure Florida Orange Juice and not from concentrate. An 8 fl oz serving of that juice has 110 calories and 22 g of sugars (22). In contrast, 8 fl oz of Pepsi has 100 calories and 28 g of sugars (19). That really isn’t a lot of difference. So if you are dieting or trying to improve your health, it’s best to choose whole fruit over fruit juice for your health. If you absolutely have to have fruit juice, pick juice that isn’t from concentrate and be aware of the sugars you are consuming. If possible, you could always squeeze the juice yourself, that way you know exactly what is in it. The traditional Western diet tends to involve three main meals and frequently snacks in between. There is a growing movement that suggests an alternative approach, often referred to as grazing. With this approach, you eat more frequently and you eat smaller meals. In theory, doing this is supposed to keep your metabolic rate higher because you are digesting food most of the time. If it really was possible to lose weight simply by adjusting how frequently you eat, I think most people would be on board. However, the science behind the concept isn’t actually as strong as it seems. Realistically, what you eat and how much of it you eat is far more important than when you eat it. Experimental trials have shown that there are no real differences in weight or in appetite between groups that ate more frequently and those that ate less frequently (20). If there are differences in metabolism, it’s likely that they are too small to matter. Additionally, the argument for this approach is based on the concept that being hungry isn’t a good thing and that it can harm the body. But really, that isn’t the case. Our bodies were designed to cope with hunger. Having food always available is a consequence of our modern world. This certainly isn’t a luxury our ancestors had and it’s not a luxury that most animals have either. This means that there really isn’t anything wrong with being hungry or having gaps between meals. Indeed, it’s likely that our metabolic systems are optimized for this specific pattern. For example, a process of cellular repair known as autophagy occurs during fasting (23). In fact, some research is even suggesting that the fasting period that occurs between one meal and the next can have positive impacts on metabolic health, on body weight (24) and on lipid profiles (25). Realistically, the only time where eating frequently would help a person lose weight is when the effect is indirect. For example, some people find being hungry one of the most challenging aspects of weight loss. For people in this position, eating more frequently may act as a way of curbing hunger pains and making it easier to manage food. However, for other people, the reverse impact might occur. Having meals more often potentially means more chances to overeat. For some people, this might be too much of a temptation and may make weight loss more challenging not easier. As you can see, ultimately the impact of eating more frequently does depend on you as an individual. Like the blogger Sally Walker points out, one size really doesn’t fit all when it comes to diets and weight loss. However, on its own, having small meals frequently certainly doesn’t result in any improvements to weight loss directly. One of the most common approaches to dieting is calorie restriction. This process inherently involves the assumption that one calorie is exactly the same as another (yet another one of these nutrition myths), but that isn’t really true. In particular, different foods vary in the impacts that they have on your body and even on your mind. For example, sometimes foods might give you an emotional boost or certain foods might affect your hormones. The differences between foods also mean that the type of calorie can directly affect how full you feel, your cravings and even how much you eat. After all, it would be pretty easy to blow more than 1,000 calories at McDonalds (a Big Mac burger alone is around 550 calories) (26). Likewise, a bowl full of pasta would contain a significant amount of calories. You can also get a lot of calories from soda or sweets without evening thinking about it. But, your body isn’t going to react to all of these calories in the same way. For example, if you ate a bowl of pasta with no meat, you would probably be hungry before your next meal. That’s also why a breakfast like a bagel or a few pieces of toast often won’t keep you going for long. The problem is connected to the way our bodies digest different types of food, and generally speaking, carbs are digested pretty quickly. In contrast, high protein foods tend to make you feel full for longer and these foods can even decrease food cravings. That’s why eating a high protein diet can help with weight loss (27,28,29,30,31). 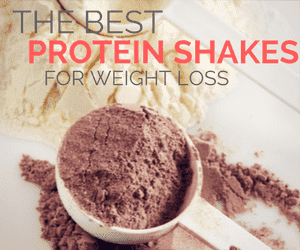 Additionally, protein can be challenging for the body to metabolize. This means that more energy is involved in metabolizing the protein, which is beneficial when you are trying to lose weight. In fact, simply increasing the proportion of calories that you get from protein can be enough to increase how much weight you lose – even if you don’t change your total calorie intake. Don’t get me wrong. Calories are still important and keeping track of them is a good idea for many people. Many people do find that keeping track of their calories is a good way to lose weight, largely because it gives them an indication of when they are doing well and when they aren’t. In fact, no matter what your situation is, it’s worth using a calorie counter for at least a few days, just so you can see how many calories you are actually eating and whether this is a good amount. However, even if you count calories or plan to count calories, it’s really important to be aware of the different types of calories and plan your diet accordingly. To many people, the idea of a food addiction sounds like a convenient excuse. It basically sounds like the person is trying to absolve responsibility for their own behavior. This is actually a really interesting example of nutrition facts and myths because the idea of a food addiction is completely foreign to people who have never experienced one. An example of this is the way that people talk about how others have ‘let themselves go’. Yet, the idea of food addiction actually makes a lot of sense. People can be addicted to many different drugs because of the way those drugs affects their brains and the chemicals in their body. In some cases, this addiction might be psychological, or it might be physical, or it might be both. If drugs can have this effect, why can’t food? In fact, there are already multiple types of recognized non-drug addictions. One of the most well-known examples of this is gambling addictions, although there are many other types of addictions out there (32). There has been growing interest in eating disorders and into the idea of food addiction. Some of this work has highlighted the fact that people with food use disorders have similar neurobiological pathways to people abusing drugs (33). Food addiction occurs because of the reward system that is hardwired into our brains. This system means that when we do certain behaviors, the brain will release chemicals that are then interpreted as pleasure. One of the most well studied of these is dopamine. Some drugs increase the release of dopamine while others have effects that make dopamine stay in our system longer. Those effects are one of the key reasons why people get addicted to drugs. Research has shown that dopamine does play a role in food addiction and that it can be activated by both drug-related and food-related cues (34). Food addiction works like drug addiction in another way too. As people consume more of the addicting substance, whether it is food or drugs, their body starts to develop a tolerance. This means that the dopamine and other chemicals don’t respond as quickly as they did before. To get that same reward, people have to consume more of that substance. When it comes to food, this can easily lead to overeating and may strongly contribute to the development of obesity (35). Likewise, if you don’t get the amount of response your body thinks it needs, you can go through withdrawal. In fact, the current edition of the DSM even has reference to food addiction and to binge eating. The DSM is the manual that mental health professionals use for diagnosis and for guiding treatment. The fact that food addiction is talked about in this manual is a very big indication that food addictions are actually real. Food cravings are an important element of the idea of food addiction. There are a lot of similarities between the way that people crave food and the way that they crave drugs (36). Now, this doesn’t mean that all food cravings are a sign of addiction. After all, many of us crave ice cream on a hot summer’s day or after a particularly messy breakup – that doesn’t necessarily make us addicts. Addictive cravings are cravings that start to dominate your attention and they might stay there until you give into them. For example, you might find yourself giving into a craving for chocolate, even though it is above the calories you allow yourself for the day. Cravings do that. Often they make it so much more difficult to make rational decisions. When we talk about food addiction, most people assume that people are addicted to sugar. In many cases, this is true, as sugar can be strongly addictive (37) and it releases both dopamine and opioids (38). Research also suggests that binge eating may play a role in developing a sugar dependency (39). Sugar is particularly problematic for the human population because so much of our food contains sugar and sugar is very accessible. However, food addiction is not necessarily limited to sugar. Many foods can have an impact on our reward systems. Food that is high in fat or calories is another example. In general, most people seem to get addicted to ‘junk’ foods. By that I mean food that is high in calories and relatively low in other nutrients. That includes foods like pizza and fast foods. These foods might be a treat every so often as part of a normal diet. But people with food addiction have a very difficult time resisting the cravings for these foods. The fact that food can be addictive doesn’t mean that people have no responsibility for their decisions. Instead, it means that people with a food addiction may have to take different approaches for improving their health and losing weight. For example, a person addicted to sugar may not have the ability to dramatically drop the amount of sugar in their diet. Likewise, people with food addictions may find it hard (or even impossible) to follow some healthy eating advice. Frequently, the food cravings they experience will overpower any decision that they had made previously to eat healthily. Like any addiction, there is no simple answer to food addiction – but you probably can’t make your way out of it alone. If you feel like you are struggling with an eating addiction, turning to a psychologist or a psychiatrist may be a good approach. Support groups can also help, such as Overeaters Anonymous. For some people, the ultimate solution may be to cut out the foods that they are addicted to altogether. This runs counter to the idea of ‘everything in moderation’ – but addiction is a little bit different. For example, an alcoholic cannot have alcohol in moderation. They have to avoid it entirely because even a little alcohol will reawaken the addiction. The same is true for smokers. This may not be true for everyone with food addiction because there are a lot of factors. But, for some people, avoiding the foods they crave the most entirely, may be critical for beating food addiction. Many of us have grown up with the idea that we should eat a lot of bread, pasta and grains, while keeping our intake of meat relatively low. One of the most well-known examples of this advice is in the traditional food pyramid. That food pyramid is no longer official advice, but even so, it does continue to influence the way that people think about food. The concept is that you eat a large amount of the food at the bottom of the pyramid and decreasing amounts of food as you go up the pyramid. In essence, the diet is a low-fat, high-carbohydrate diet and it has been heavily promoted for quite some time. After all, it’s easy to understand and looks nice visually. But… it isn’t actually accurate and there are a few major issues with the approach and with high carb diets in general. With this approach to diet, most of your food comes from grains and this acts to fill you up. In fact, grains are a huge part of the modern diet, but they are actually very low in nutrients. That’s particularly true for ‘white’ grains. Even food that has ‘whole’ grains isn’t as good for you as it sounds. The process of making the food involves crushing those grains into a fine flour – which is where the problems begin. Doing this doesn’t affect the nutrients in the grains, but it affects how the body reacts to them. In particular, those grains get broken down and absorbed into the body really quickly. The grains are already high in sugar and this leads to a dramatic spike in insulin and blood sugar levels. Grains are one of the most significant examples of carbohydrates (carbs) in our diets, but there are lots of other examples too. Specifically, the term carbohydrates refers to fibers, sugars and starches that are found in many different types of foods (40). This means that they are also one of the key sources of energy for the human body. Now, carbs are an important nutrient, so they aren’t something that you can cut out of your diet altogether. However, there is a lot of merit to decreasing your carb intake. For example, low-carb and ketosis diets both dramatically decrease carb intake and they offer significant health benefits. One of the reasons for this is the sugar in carbs and the way that carbs can influence your blood sugar levels – just as I mentioned before for grains. Now, before we go any further, I want to make one distinction. For example, fiber is technically considered a carbohydrate, yet it is something that people do not consume enough of. Fiber can have many benefits for the body and it can also help to decrease the impact that sugars have on blood sugar levels. So, for this discussion, my main emphasis is on the starch and sugar side of carbs. Let’s go back to blood sugar. Blood sugar spikes are concerning because blood sugar level tends to decrease just as fast as it increases. As the level goes back down, you become hungry again. This creates a yo-yo cycle because people tend to snack on the same types of food. To make matters worse, high levels of blood sugar can contribute to diabetes development (41). High carb diets themselves also have significant implications for health. For example, they have been associated with an increased risk of heart disease (42), increased risk of the development of type 2 diabetes (43). In a similar way, the consumption of rice and noodles has been linked to insulin resistance, which may be connected to the role of carbs (44). Insulin resistance is a key component in the eventual development of diabetes (45). As research continues to find out more about carbs and about high carb diets, the government has been changing its recommendations about what people should eat. For example, the image below (courtesy of USDA) is the current recommendations for what people should be eating and the amounts. With this approach, the proportions are much more reasonable and the emphasis on grains and carbs has decreased significantly (although they still remain a fairly large proportion). This does suggest that the government is rethinking its approach to carbs overall and suggesting that people change their diets. I prefer the My Plate approach to the food pyramid, but it is still an approach that is often unrealistic and doesn’t take into account everybody’s needs. Plus, you still end up consuming a lot of carbs in a given meal, which may not be a good thing. The My Plate recommendation is also interesting because it shows how nutrition facts and myths can change. Over time, research starts to show that some myths aren’t real while other research will reveal new facts about nutrition. It’s an important reminder not to assume anything when it comes to nutrition because our understanding changes as research progresses. Vegetable oils are often marketed as healthy – and it’s easy to fall into this way of thinking. After all, vegetable oils are often relatively low in calories, have some omega-3 fatty acids and have monounsaturated fats. However, vegetable oils aren’t actually as good as they sound. There are some exceptions, but most vegetable oil is heavily processed. For example, oils like sunflower oil, canola oil and soybean oil have been through a large amount of processing. For example, one part of the processing for canola involves extracting some of the oil using a chemical solvent, in addition to the use of industrial chemicals and high amounts of heating. There are a whole number of different steps involved and many of them are highly artificial in nature. That level of processing is deeply concerning, because there is no real way of knowing what impact the processing is going to have on human health. You can choose to buy oils that are cold pressed. These types of oils tend to be more expensive, because cold pressing is less efficient than other approaches for processing and tends to produce a lower yield. Cold pressed oils do undergo less processing, but even then, there are still other health issues that are present even with cold pressed oils. The polyunsaturated fats in vegetable oil are one of the key reasons that vegetable oils are promoted as being healthy. Research suggests that these fats can be beneficial to health. Additionally, medical advice frequently focuses on people replacing other types of fats (especially saturated fats) with polyunsaturated fats instead (46). This sounds great on paper, but the long-term health implications of this approach are much less clear. Historically, our fat intake has largely focused on monounsaturated fats and saturated fats, so the dramatic change to focus on polyunsaturated fats may come with some negative impacts. One issue is that polyunsaturated fats tend to be much more reactive than other types of fats. This comes from the way that they have more double bonds. Polyunsaturated fats often react with oxygen (a process called oxidation). This can cause chain reactions, which can contribute to inflammation and potentially cause other negative outcomes (47,48). This is particularly significant because of the way that you cook with the oils, as the high heat from cooking can also contribute to oxidation. Omega-3 is a particularly important fat that has a lot of potential for improving health (49). The significance of omega-3 is one of the key reasons behind recommendations to eat fish regularly. Likewise, vegetable oils are often promoted as healthy because of their omega-3 content. However, omega-3 is only half of the story. There are actually two significant omega fatty acids. The second one is omega-6. Essentially, omega-6 has the opposite effect to omega-3. So, high levels of omega-6 acts to increase the risk of cardiovascular disease, while high levels of omega-3 decrease the risk (50). Likewise, high levels of omega-6 can contribute to inflammation, to inflammatory diseases and to autoimmune diseases (51). High levels of omega-6 have also been found with many health issues, like arthritis, asthma and cardiac arrhythmia, and may be a contributing factor in these health issues (52). The problem with vegetable oils is that they have both these fatty acids and they tend to have more omega-6 than omega-3. Humans do need both omega-6 and omega-3, but the ratio of the two is critical for health. This ratio should be skewed in favor of omega-3, or at the very least balanced between the two (38). However, most of the time it is skewed in the opposite direction (53). Given this ratio is already skewed in the wrong direction, one of the worst things you can do is use products like vegetable oil, which will only make matters worse. One of the most concerning types of fats is trans fat. This type of fat does not commonly occur in nature, but the fat type is commonly produced for products like margarine, vegetable oils, fried foods and pre-packaged baked goods. Research has consistently shown that trans fats are dangerous for health, contributing to inflammation, higher risk of cardiovascular disease and even DNA damage (54,55,56). The American Heart Association also officially recommends limiting intake of trans fat (57). Because of the implications of trans fats, many food manufacturers have been moving away from using trans fats in their products. However, you do still find products containing trans fats, including vegetable oils. For example, one study found that the content of trans fat in vegetable oils on store shelves ranged from 0.56% and 4.2% of the fatty acids in the oil (58). When you really don’t want any trans fat in your diet, that is deeply concerning information. An even bigger problem comes from the way that companies have to disclose information. If a product has less than 0.5g of trans fat per serving, then it can call itself trans-fat free. Likewise, the company can put 0g of trans fat on their label (59). You can see this in the label from Crisco’s vegetable oil. The really important part of this is the serving size. Vegetable oil tends to have very small serving sizes. In this case, the serving size is one tablespoon, which is pretty common. So, if you had two tablespoons of this oil, like in a salad, a recipe or just from frying, you could potentially be consuming close to a gram of trans fat. People tend to use vegetable oils for so many things, so you could actually be consuming a significant amount of trans fat without ever being aware of it. The idea that vegetable oil is healthy is one of the worst nutrition myths out there. This is because the myth is just so prevalent. You can even find the myth in official health recommendations. For example, the American Heart Association recommends reducing your saturated fat intake significantly, and making sure that most of your fats are either polyunsaturated or monounsaturated (60). So, people end up replacing saturated fats in their diet (like butter) with products like vegetable oil. One of the key arguments for using vegetable oils is to decrease the risk of a heart attack. But, it’s actually hard to know how effective this approach is. As I mentioned before, vegetable oils tend to have a high level of omega-6 fatty acids. These can potentially increase the risk of heart disease. At the same time, research is beginning to show that saturated fats aren’t actually associated with heart disease risk or with mortality in general (61). There also isn’t much proof that making this substitution actually improves health. In fact, one study showed that making this type of substitution actually increased rate of death, rather than decreasing it (62). Many healthcare professionals, including physicians have a tendency to give nutritional advice. This is actually a major issue, because most medical professionals get barely any training in nutrition (63). In fact, within the United States, a large number of deaths are directly related to nutrition and are entirely preventable (64). For example, a 72% reduction in the occurrence of cardiovascular events has been related to a simple change in diet. This effect is roughly twice as strong as most statin drugs (65). Yet, across a four year degree, medical schools on average provide less than 20 hours of nutrition education. Furthermore, most of these hours are taught early on in the degree, at the same time as basic science education (66). Additionally, the vast majority of medical schools don’t even offer a single nutritional course. Progression of Nutritional Courses at Medical Schools over time. Data from Kris-Etherton et al., 2014. This is an alarming pattern. Even when schools do offer nutritional courses, they are often limited in length and in scope (67). It’s not surprising then that medical professionals often do not make the connection between nutrition and health. An even more extreme example comes after graduation for medical training, specifically in relation to specialty training for cardiovascular disease. There are many requirements for training in this area, yet, in many cases there is absolutely no mention of any nutritional education or background (68). This is shocking, because as I mentioned before, diet can have a larger impact on cardiovascular disease development than medication can. Yet, physicians often prescribe medications for conditions without even considering nutrition or the impacts of nutrition on the individual. Likewise, they may give nutritional advice that is incorrect or is not relevant for the situation. While physicians should be focusing on first helping patients to make lifestyle changes to improve their health, such as improved diet and increased exercise, the emphasis of most health care professionals remains firmly on medication. To make matters even worse, despite the lack of training that physicians have in nutrition, the public still considers them to be one of the most trusted sources for nutritional information (52). Even when doctors do have some level of nutritional knowledge, they lack the understanding about how to provide practical advice that patients can actually follow (69). At the same time, many physicians feel that they have more than enough knowledge to make nutritional recommendations. This misalignment can mean that physicians give the wrong advice or do not adequately respond to the needs of the patients (70). Clearly there is an urgent need to increase training for medical professionals in the area of nutrition, especially as their lack of knowledge may cause physicians to contribute to the very problems that they are trying to solve (71). However, it is just important (if not more important) that people realize physician’s limitations in nutrition knowledge. So realistically, you should not rely on physicians as a reliable source of nutritional advice. Realistically, if you want nutritional advice from a professional, then a better approach is to turn to a nutritionist. Just be aware that while they are much better trained, nutritionists do often have their own biases about what they recommend. One very serious outcome of this issue is that medical professionals will tend to give very different advice on how to eat healthy and your best choices for the condition that you have. For example, I have been in one doctor’s office, where there dietary advice posters on the wall advised people (among other things) to choose butter over margarine. Yet, a doctor from the very same office gave the exact opposite advice and offered no reasoning for the advice. Likewise, if you were to see two different doctors for the same condition, they might give you different advice on how to eat. Another example is that I have seen one doctor tell a man who weighed more than 500lb to immediately go down to (and stay on) a 1,200 calorie a day diet. Yet, some research suggests that diets this low in calories may be harmful, especially in cases where such a diet is a dramatic change (72). If a person was to go through a major change in their diet, their progress and side effects should be carefully monitored by a physician, one that actually knows what to look for. Ideally, a nutritionist should be involved. Yet, many physicians are so overconfident in their nutrition knowledge that it never occurs to them that it might be wrong. This means that you should be very careful with any nutritional advice that a doctor gives. While their advice may be correct, they are giving advice in an area that they aren’t actually trained in. That’s no different than you asking your friend or coworker for nutritional advice. With the growing interest in nutrition and its implication for health, it is likely that some change will occur in the amount of nutritional education that medical students receive (73). Yet, even if such a change occurs, the nutritional advice of any physician should always be considered cautiously. One reason for this is that any change will only affect those new to the field. So, if your physician has been practicing medicine for 20 years, he won’t be strongly affected by the changes to training. Likewise, you often find that physicians who have been practicing longer are often slow to take up new information. A second challenge is the way that information and knowledge changes over time. The myth surrounding fat and cardiovascular disease is a great example of this. Even though modern research strongly suggests that fat has no impact on cardiovascular disease risk, most physicians will continue to recommend that people go on a low-fat diet to lose weight or to reduce cardiovascular disease risk. So, even if some physicians do learn a decent amount of nutritional information – much of that will quickly become outdated. While some professionals do focus on keeping their knowledge updated, many don’t. So, trust doctors in their areas of expertise, by all means. But, be cautious when they go outside of those areas. The fact that they are professionals doesn’t necessarily mean they know what they are talking about when it comes to nutrition. Many of the nutrition facts and myths I’ve talked about here relate back to this single, very popular myth about fat and health. There is this prevailing idea that fat has many negative impacts on health, particularly that it dramatically increases the risk of cardiovascular disease. This myth isn’t surprising, because it is one that the government has heavily promoted over the years. But, it really is a myth. The original theory that high fat contributed to heart disease was largely an educated guess, rather than something supported by scientific evidence. The problem with the idea of fat and heart disease is that the perspective started to be promoted before there was solid evidence. That practice actually influenced later research, because studies started to find an association between fat consumption and a range of negative health outcomes. However, these were observational studies. That’s actually a really important factor. So, what the researchers started to do was to look at people’s health and their fat consumption and tried to see whether there was a relationship. People who ate more fat tended to have a higher risk of heart disease and were more likely to be overweight. There were also similar studies with red meat. That shows that fat is bad for you – right? If you were interested in improving your health and the government told you that you should limit fat intake – you probably would. A lot of people did and a lot of people still do. So, healthier people did eat less fat – because that was the advice they were given. In contrast, the people who didn’t care about their health ate whatever they liked, including fat. These people tended to have more health issues, and it looked like fat was the cause – even though it wasn’t. More recent research has taken experimental approaches. This has involved things like having two randomized groups of people, one on a high-carb, low-fat diet and one on a high-fat, low carb diet and looking at outcomes. The key is to look at fat intake where everything else is equal. One example of this is a study that looked at a low-fat diet and the risk of heart disease. In theory, if high levels of fat contribute to heart disease, then a low-fat diet should decrease the risk of heart disease. The study in question involved a randomized trial of 48,835 women from 50 to 79 years of age and involved the use of a control group. Despite the comprehensive nature of the study, a low-fat dietary intervention did nothing to reduce the risk of heart disease (74). This has been a common theme in recent studies on the impact of fat in the diet. At the same time, meta-analyses are focusing on the issue of fat in the diet and finding that there is no significant evidence to suggest that people should be cutting back on saturated fat consumption (75). All of this suggests that fat can be a really important part of the diet. If nothing else, it really isn’t the villain that it is made out to be. In fact, there has actually been controversy about the connection between fat and heart disease for close to 100 years (76), especially as the evidence for the connection between cholesterol and heart disease isn’t nearly as strong as you might imagine. So, what about losing weight? Most people assume that eating fat will make them fat. That’s true to a degree, but not really. Fat and carbohydrates are the two main energy sources for living beings. Because of this, healthy diets tend to fall into either high-fat and low-carb or low-fat and high-carb categories. Both approaches tend to have about the same amount of energy going into the body, but this energy comes from different places. The high-carb approach is still what the government recommends, even though there isn’t all that much support for it. Most of the time, a high-carb diet involves eating a lot of processed food and food that is high in sugars. There is an inherent belief that this is better, because fat is what makes you put on weight. However, sugar just gets converted to fat in your body. In contrast, high-fat foods tend to be more natural. After all, foods like red meat and dairy are naturally high in fat and are packed with nutrients, without the need for much manipulation. You can even get organic and grass-fed varieties of dairy and meat that are even more natural. Research even shows that including fat and saturated fat in the diet can be safely done without long-term negative health consequences. For example, despite common belief, fat and saturated fat does not appear to significantly contribute to the risk of heart disease (77). Some research also suggests that components in full-fat dairy may play a role in reducing diabetes risk (78). In fact, eating a high-fat diet over a high-carb diet may even help you to lose weight. Taking this approach can help to force the body to consume fat for energy instead of sugar. For weight loss, this is important because you want your body to be using your stored fat as an energy source. Despite claims to the contrary, many high-fat diets are nutritionally balanced and can be effective tools for weight loss – and there are many diets like this out there. The real trick is to look for real, healthy lifestyle changes, not just fad diets that promise miraculous results by tricking your body. One way to look at it is this. If you were trying to eat whole foods with little to no processing, you would end up leaning towards foods like red meat, eggs, milk, chicken and fish, along with fruits and vegetables. Many of these foods are naturally high in fat and are often low in carbohydrates. Despite all the myths surrounding fat, diets like this tend to be very healthy – as long as you pay attention to how much you are actually eating. But, you should be paying attention to that regardless of the type of diet you are following. This myth goes back to the debate about fat and saturated fat. There has been a significant decline in the amount of butter consumed over time as the focus on butter alternatives has increased. There are a huge number of alternatives to butter, many of which look and even taste similar. In fact, it has even become difficult to find real butter on the grocery store shelves. This might sound great – but it is a big issue. Margarine and similar products look like butter because they are made to. It’s a very intentional process and involves a lot of chemical manipulation. Butter alternatives are created from oils extracted from a range of different seeds. Getting the oil is a complex process and it then has to be hydrogenated to make it solid at room temperature. The potential negative health impacts of this process are significant – particularly as many of the seeds that oil is extracted from may be genetically engineered. At the end of the day, you really have no way of knowing just what has gone into making the butter alternative that you use or what impacts all the chemicals are going to have. The idea that butter is bad for you is once more based on the fat content. There is this running assumption that fat should be avoided wherever possible, and this includes in butter. As we talked about earlier – this perspective just isn’t justified, and it is actually better to have a high-fat low-carb diet than the other way around. Butter also has some health benefits of its own. One benefit is the present of vitamin K, in the rare form K2. This vitamin offers protective benefits against prostate cancer and heart disease (79,80). There are also other vitamins and nutrients in butter that contribute to health. At the end of the day, what would you rather put in your body? A heavily processed oil-derivative that doesn’t have any real nutritional benefits, or a largely natural product that can help to improve your health? Personally – I prefer butter – hands down. This is yet another one of the nutrition myths that ties back to the myth about fat and heart disease. The basic idea is that cholesterol in food increases the amount of cholesterol in the body, which in turn contributes to an increased risk of heart disease. Specifically, this argument refers to the idea that dietary cholesterol increases the amount of LDL cholesterol (the ‘bad’ cholesterol). Early research into this area suffered from the same issues as research into fat and heart disease. That is, research that relied on observational approaches and didn’t effectively account for differences in behavior. Most discussions of cholesterol in the blood focus on two types, HDL and LDL. These acronyms stand for high-density lipoprotein and low-density lipoprotein, respectively. In general, LDL is considered bad for health, while HDL is considered beneficial. The reason for this is that LDL in the blood has the potential to get stuck in arteries, contributing to the formation of plaques and potentially causing heart attacks. Technically speaking, HDL and LDL are not types of cholesterol. Instead, they are the molecules that transport cholesterol in the blood. However, this distinction is largely theoretical and isn’t too relevant to the discussion of cholesterol and heart disease. A major issue with the idea of cholesterol and heart disease is that this perspective assumes that all LDL cholesterol is the same. It isn’t. Instead, there are multiple sizes of LDL. These are known as small density LDL (sdLDL) and large density LDL (ldLDL). Research suggests that it is only the small ones that contribute to heart disease (81). This makes sense because the large ones do not get stuck in the arteries in the same manner. This means that simply decreasing your cholesterol intake may not decrease the levels of sdLDL. In fact, a diet with saturated fat and cholesterol tends to have a lower concentration of sdLDL compared to other types of diets (82). Likewise, eggs have actually been associated with lower levels of sdLDL (83). In contrast, a low cholesterol, low-fat diet may decrease the overall level of LDL, but it can also increase the proportion of sdLDL. As such, this type of diet can actually increase the risk of heart disease, instead of decreasing it (84). There is another part of this debate too. Most recommendations about cholesterol in the diet are focused around the idea that the cholesterol you eat is going to directly affect the cholesterol in your blood. Yet, this is mostly an assumption. Research suggests that for most of the population, cholesterol in the food doesn’t have a significant impact on cholesterol in the blood (85). For the portion of the population whose cholesterol consumption did influence blood cholesterol levels, the same study found that cholesterol consumption raised both HDL and LDL levels (86). This means that the response is unlikely to have negative implications for health. In some cases, cholesterol in the diet can improve cholesterol in the blood, by decreasing the concentration of sdLDL (87). This all makes it very unlikely that eating cholesterol will actually increase your risk of heart disease. As a whole, nutritionists have done a good job of convincing people that healthy foods are actually unhealthy. This is particularly true when it comes to the innocent egg. Eggs are often associated with grease, with heart disease and with obesity. In fact, people seem to assume that if you eat eggs regularly, then you are harming your body. When people do eat eggs, they often shy away from the yolk altogether, making food out of egg whites because they contain much less fat. However, the whites also contain fewer nutrients. So, what’s the story with eggs? I talked about this for the previous myth, so I’m not going to go over it in detail again. Basically, eggs are often associated with heart disease because of their cholesterol content. However, as I discussed above, there really isn’t much of an association between cholesterol in food and the risk of heart disease. Eggs are actually an amazing source of nutrients, including antioxidants associated with protection against eye diseases (88,89). Beyond that, eggs actually host a range of other nutrients including iron, vitamin A, B12, B5, phosphorous and selenium (90). This makes eggs incredibly healthy for you. However, most of the nutrients in an egg are in its yolk, so if you are just eating the whites – you’re not getting them. The idea that eggs contribute to weight gain is a major food myth. Eggs satiate you. This property means that when you eat eggs, you will tend to feel fuller for longer. Foods that highly satiate are really important for weight loss, because when you feel full you are less likely to eat foods that you don’t need to. For example, one study examined the differences between having a breakfast containing eggs versus one containing bagels. The amount of calories of the two meals was the same. The study found that individuals eating the eggs had higher levels of satiety and ate less food for lunch. Conversely, the people having bagels for breakfast were hungrier and ate a bigger lunch (91). This makes sense, because a similar thing happens when you compare eating breakfast to skipping it. If you were to skip breakfast in the morning, you would find yourself eating more for lunch and you would probably eat lunch sooner. Because of this, having a heartier breakfast ends up being more effective for weight loss than having something lighter and ‘healthier’. Besides – like I said before, eggs aren’t actually unhealthy at all. When it comes to grain products, there is always this argument that choosing whole wheat options is a healthy choice. For the most part, I’m talking about bread and pasta. These are products that are often advertised as being whole wheat or whole grain. One major issue is that the term whole wheat is incredibly misleading. It implies that you are eating whole grains and actually getting the associated nutritional benefits. In most cases though, this isn’t actually the case. Yes, whole wheat and whole grain foods do actually contain whole grains. However, those grains have been processed down into a flour. This means that it spikes the blood sugar fast. In fact, whole wheat bread has the same average glycemic index as white bread (92). So, most of the time, eating a whole wheat product is exactly the same as eating one that isn’t whole wheat. People often buy whole grain food in an effort to promote their health, but much of the time they aren’t aware of what the term actually means. Typically, white bread makes use of one part of the wheat grain, which is the endosperm. That area contains the proteins and the carbohydrates. However, there are another two main parts to the grain. One of these is the bran, which is the outer layer. This is heavy in fiber and has B vitamins and tiny amounts of minerals. Finally, there is the germ. This is the middle layer of the grain, and it is high in nutrients, including healthy fats and antioxidants. As you can imagine, all of these components can potentially have positive effects for health, yet they are left out in white bread (93,94). So, you will often find whole wheat or whole grain bread. Those terms just mean that the entire grain is used, rather than just the endosperm. In the case of whole wheat bread, wheat is the grain that is used. Whole grain bread may also use other types of grains in addition to wheat or even instead of it. But, while the whole grain is used in these breads, there is nothing preventing companies from pulverizing the grain. That process of pulverizing has many potential impacts on the health implications of any grain-containing product. Wheat has been a staple food in the United States for a long time. However, the wheat we eat today isn’t the same wheat that has been eaten in the generations before. Instead, there has steady increases in the amount of processing done to wheat. The processing that goes into making flour to make bread and other products has a lot of implications for health. One important factor is that the white flour that is used in everything eliminates many of the parts of the grain that are the richest in nutrients. At the same time, there has been an increased emphasis on high-yield farming. This has led to modification and selection of wheat that is low cost and very efficient. The most significant example of this is the high-yield, semi-dwarf wheat developed by Normal Borlaug. By emphasizing low costs and high yield, modern society has created a type of wheat that is very different than what we ate in the past. The implications of this for health really aren’t clear. Research suggests that modern wheat is less nutritious than historical varieties (75). There is also concern that modern wheat may be contributing to the development of inflammatory disorders and potentially other negative health outcomes (95). At the same time, people often eat too much wheat in their diet – largely because of the prevailing myth that we should minimize fat as much as possible. Realistically, a healthier approach is to cut back on the wheat altogether and focus on whole foods that are much less processed. As you can see, most whole wheat or whole grain products aren’t going to be much better than normal bread, because they aren’t really that different. Some companies go to great lengths to make sure that their bread is healthy, and there are even some companies that do use whole grains (without pulverizing them). Research has also suggested that in some cases, whole grain bread can be healthier than white bread. For example, one study showed that a whole grain crisp bread was able to decrease hunger and increase a sense of fullness. This also resulted in lower energy intake in the next meal (96). Whole grains have also been linked to improvements in the cholesterol profiles in fish (97) and in humans (98), in other risk markers for cardiovascular disease (99), in insulin sensitivity for overweight adults (100) and in some of the risk markers for inflammation (101,102). So, the idea that whole grains are healthier isn’t exactly a myth. But, most of the whole wheat or whole grain foods that people eat aren’t going to help their health at all, because of how refined the food is. If you want to improve your health, you have to take the time to find whole-grain foods that haven’t been heavily refined. This type of food is less common, but it is still out there. When they try to lose weight, people frequently turn to food that is low in fat. There is this pretty strong idea that fat in the diet is directly related to fat in the body. And yes, it is, but that’s not the whole story. I talked about fat earlier. It’s an energy source, just like carbs. Both fat and carbs will contribute to weight gain, in roughly equal measure. The biggest issue is that low-fat food seems healthy. So, it feels like a good choice if you are trying to lose weight. However, fat is one thing that makes food taste good. Normally, when food manufacturers take the fat out of food, they end up with a product that doesn’t taste particularly good. To get around this, companies have to find other ways of making their food appealing. Normally this involves adding sugar. At the same time, companies also add artificial sweeteners, flavoring and other chemicals to make the product desirable. Often, you will find that low-fat food has a similar amount of calories as the normal fat version. A second issue is that the fat in products makes them more satisfying. This is especially true in dairy, but it also applies to many other food types. The fat can make the food taste richer and often give it a denser texture. All else being equal, this means that you are likely to eat more of a low fat product than of a similar product that isn’t low fat. Because of this, you can actually end up eating more calories from low-fat foods, even while you think you are eating healthy. At the same time, the sugars in low-fat foods can have negative health impacts, including impacting your metabolism (103,104). A particularly interesting area to consider is full-fat dairy. Many of us have been brought up on the idea that low-fat or fat-free dairy is the healthiest approach. In fact, this approach is so commonplace that it is challenging to find full fat yogurt at the grocery store. Other people choose to avoid dairy entirely, even though dairy has health benefits, including reducing the risk of type 2 diabetes (105). Likewise, dairy is packed with protein, calcium and minerals, making it a good choice for the diet. Another example is that milk consumption has been shown to promote muscle protein synthesis after exercise, especially whole milk (106). Most of the benefits of dairy apply to any amount of fat content, but despite this full fat dairy may actually offer some additional health benefits. For example, multiple studies have found that higher fat intake from dairy is associated with a decreased risk of obesity (107,108,109). There are many debates about this association because it is in the opposite direction than most people would predict. The fact that full fat products tend to make people feel fuller is the most commonly proposed reason. For example, having full-fat milk might mean that you eat less at a meal or a snack. Another possible reason is that full-fat milk actually has a different impact on the metabolism than low-fat (110). Additionally, some people argue that full-fat dairy can also help with nutrient absorption as some nutrients (like vitamin D) are fat soluble. Intake of full-fat dairy has also been associated with other health benefits, including a reduction in cancer risk (111) and lower risk of type 2 diabetes (112). The thing is… people choose low-fat products largely for weight loss or reduced heart disease risk. Yet, the research doesn’t support either of these outcomes. So, it begs the question, why are we still on the low-fat bandwagon? Like many of these other cases, the answer is simply that nutrition myths can seem so convincing and most of us don’t stop to think twice about whether they make sense and whether they fit the current evidence. But, if we are going to eat healthily and be healthy, thinking critically about our nutrition and about nutrition myths is very important. Thanks for the article about good fats and particularly good dairy fats but I would rush to add that all dairy should be organic. Our dairy cows are plugged with antibiotics and growth hormones and these medications end up in their product and ultimately into our body systems. Also the Federal Food and Drug administration actually record an “acceptable level of pus in the milk” for human consumption. With organic milk, no level of pus is acceptable. chemicals and hormones that way.